So, I’ve got a new one OTN, this one my playing around with something for Knit Pink, as mentioned in a previous post. 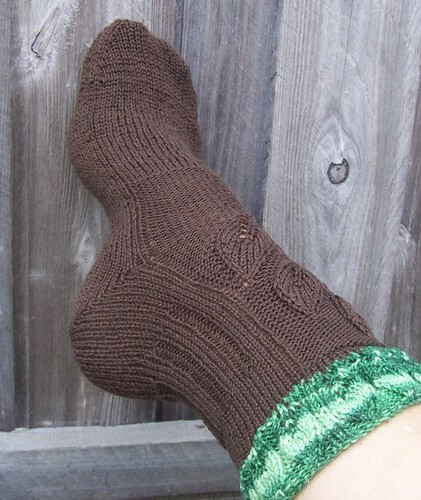 I haven’t decided yet on what socks I’m going to knit next. I have a notebook full of plans & ideas for sock patterns. I really have more ideas than time, gosh darnit! 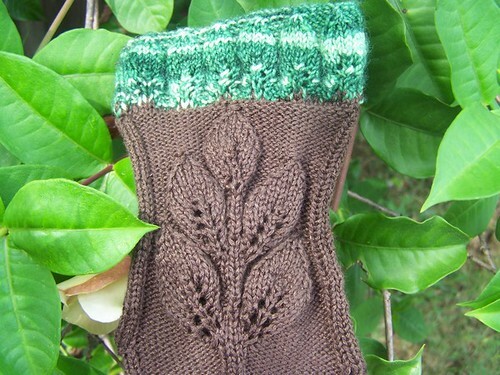 This entry was posted in Running and tagged Harry Potter, Knitting, Ravelry, Socks, Whomping Willow. Bookmark the permalink. :D Thx, kv! It was actually quick to knit, which took me by surprise once I got rolling on it. As usual, it is very nice one! Thx Jillian! 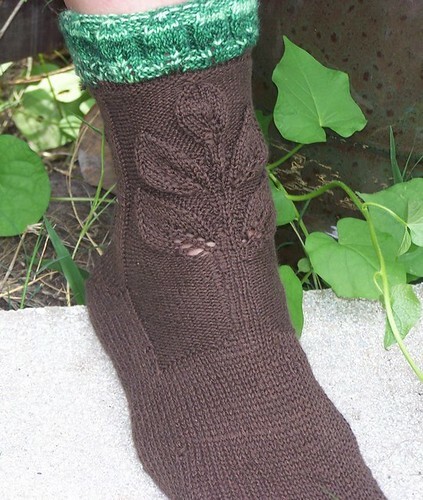 :) Yes, I love the varying leaf patterns, they really are fun to knit, too!